Thank goodness for the internet. The amount of resources available at our fingertips is astonishing! You can look up smoothie recipes, find out why your car is making a funny clanking noise, and shop for new yoga leggings all from the comfort of the couch. One of the greatest benefits, especially for the budget conscious, is the abundance of free courses and instructional videos. Some of us have so many day to day commitments, the only time we have for ourselves and our yoga practice in the morning. Make the most of “me” time with this great morning sequence that will ease you into your day with poses like Downward Dog, Low Lunge, and Wide Leg Forward Fold. As the world wakes up, wake your body up too! Tara Stiles is a popular yoga instructor and the creator of Strala Yoga. She has several videos on YouTube, but one of the best ones for improving your skillset is this, the Flexibility and Range of Motion training. This will open up your body and help you be able to deepen poses while also reducing stiffness in the body that comes from hours hunched over at a desk. The pace may be a bit fast for some beginners; yogis with knowledge of basic poses should be able to keep up. Have you been too intimidated to try arm balances? Not anymore! Kino makes it look easy, but her brilliant instruction will have you holding Crow in no time. This video is also great for building arm strength, which will aid you in every aspect of your yoga practice, no just arm balances. Kino’s encouragement and detailed instruction make even the toughest poses accessible. Sometimes it’s easier to try something new when no one is watching or judging us (even though they probably aren’t anyway!). Many yoga newbies are too nervous to give Vinyasa a try, mostly because it moves more quickly than a Hatha class and requires a combination of concentration and strength. The goal of Vinyasa is to synchronize breath and movement, which can be a challenge when we are not used to doing that in everyday life. Faith provides an excellent 30-minute introduction to the Vinyasa style that is free-flowing, simple but still engaging enough for those who want to be challenged. Have you gotten your fill of short introductory videos and are ready to tackle something a bit longer? This hour-long class will provide you with an amazing and challenging workout that will give you the confidence to deepen your practice and explore poses that, while difficult, are never impossible. Don’t let the “slow flow” part fool you; this class is not for beginners. If you’ve taken a few classes, have a basic knowledge of poses, and are in relatively good shape, you should be able to handle it. There are plenty of modifications; never feel like you have to prove anything to yourself by forcing your body to do something it isn’t ready for. Changing seasons are a transitional phase in life which can leave us feeling unsure and uncomfortable. Whether you feel excited or stressed by the new beginnings that come with changing seasons, you can seek comfort in grounding yoga poses to help steady you and prepare yourself for a new phase of the year. To help you feel grounded during the transition into fall, it’s even better if you practice these yoga poses outdoors if the weather permits. It will help you to feel the ground beneath you and enjoy the last days of weather warm enough to do yoga outside before winter sets in. The summer season allows us to slow down and soak up the warm sunshine, but in fall we usually transition back into full schedules which can leave us feeling tired and under the weather. These seven yoga poses will leave you feeling grounded as you ease into the fall season. Start with your feet planted hip-width apart. Then root your tailbone down, rocking side to side gently while you feel the earth beneath your toes. Then, reach up and extend the fingertips for an energizing power pose. As you move out of mountain pose, take a deep breath and sweep your arms overhead, stepping your left foot behind you. Next, straighten your arms and touch your fingertips together, distributing your weight evenly and rooting both feet down. Repeat on the right side before moving into Warrior II. This is a great pose for energizing and keeping your body moving in a forward direction. Try to find some stillness in this pose, rooting down both feet and radiating your energy outward through the fingertips, crown, and tail. Raise your arms to shoulder height away from your sides and bend your front knee to move into this pose. Triangle pose provides another easy transition from the Warrior poses and helps the body achieve balance while stretching the hips. To do this pose, begin in a standing position and press the left hip out while you slide both arms to the right. Exhale and rotate your arms, raising your left arm and rest your right hand on your right leg. Reach your fingertips away from each other as your arms move into a straight line with shoulders stacked. Press the left hip forward and right hip back then hold the pose for a few breaths and repeat on the other side. Goddess pose is another strong power pose. Start by bringing the hands together, straightening the legs, and turning the heels inward. Next, come into a high squat by bending the knees and visualizing the pelvis as your anchor to create balance. This is a great pose for stabilizing the core to help your body feel grounded. This pose calms the mind and stimulates the nervous system. As you prepare to end this yoga sequence, sit down on the ground with legs stretched out in front of you. Take a deep breath and bend the upper body down over your legs to touch your head to your knees. Move into this pose slowly using deep breaths to help you stretch. Let your inner child out during this pose to release stress. Start by putting your forehead down to help calm the mind and give support to the rest of the body. Then stretch your hips back and arms out in front of you. This is a great stretching pose to end with and it leaves the body feeling calm and nurtured. Yoga isn’t meant to be practiced solely for an hour each day when your mat is rolled out. The very heart of the practice is meant to spill over into each area of your life. Allowing the spiritual aspect of yoga to influence your decision-making daily can lead to a more compassionate and fulfilling life that you can be grateful for. For yogis who are just beginning to study the philosophy and tradition of yoga, it can be overwhelming to consider how it applies to the more mundane aspects of your life. For a few tips on how to bring yoga into your daily life, check out this list of helpful reminders. Much of a regular yoga practice is designed to help you take time for reflection. What is your body saying that it needs? What places does your mind wander when left unattended? 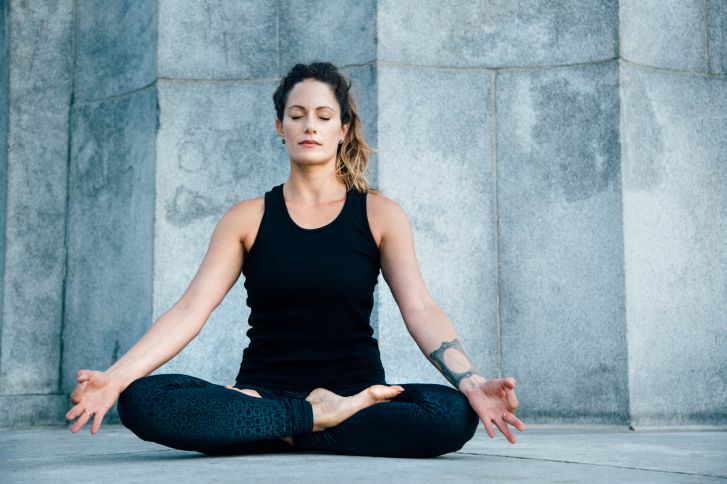 By taking a few moments throughout the day to connect to the breath and check in with the mind, you can feel more connected to your physical, mental, and spiritual needs. Every couple of hours, try to take a step back from your work to spend 5 minutes meditating. Simply roll yourself back from your desk, close your eyes, and place your palms face up on the tops of your thighs. It allows you to be open to receive what the universe has to offer. Setting an intention is different than merely setting a goal for your practice each day. Your aim should be something that moves your heart a little bit closer to where you would like it to be. Whether you want to become more grateful for your life or cultivate an attitude of joy, your intention can reflect whatever you feel you most need. Bring that intention with you as you make small decisions throughout the day, and as you meditate, bring awareness to the life that you are attempting to create for yourself. It may not seem like an obvious step to take to bring yoga into your daily life, but it is so important to care for your physical body well. Eating healthy is a form of self-compassion and self-love. It gives you more energy to focus on what needs to be accomplished and gives you strength to do those things and maintain your regular yoga practice. Select healthy snacks over vending machine junk food during the afternoon slump. Sleep and rest can definitely go hand in hand, though they aren’t always the same thing. Resting can be as simple as taking part in a hobby you enjoy that leaves you feeling energized. It is taking time to connect with your heart’s desires and making them a reality. If it leaves you feeling recharged, you are doing a great job of practicing self-care and self-compassion, both essential pieces of yogic philosophy. How we present ourselves in the world can translate how we feel, think, and what we want to share with others. Fashion is innately personal as what we wear and how we wear it can translate a piece of ourselves for the outside world to interpret. Creating a unique style, whether consciously cultivated or subconsciously developed, can be satisfying and help us feel confident to engage in the world around us and assist in positive interactions with others. Whether you are aware of it or not, you most likely have a certain fashion style that is your go-to look. This is a great thing. However, yoga philosophy teaches us that remaining in a set way can create attachment and stubbornness. There is a comfort found in the familiar, but there can also be a debilitating stagnancy that forms. When habit starts to limit us from taking chances and trying new things, it’s time to shake things up a bit and consider life from a different perspective. Freedom from routine can foster a heightened awareness of the present moment, which can awaken our senses to even more beauty that the world has to offer. If you feel like your wardrobe has fallen into a comfortable routine, here are a few simple ways you can switch it up and stay stylish. You never know which fashion hack will become your new favorite feature. Crop tops are hugely popular at the moment, and if you’re a dedicated yogi, you can use a little extra airflow during a sweaty session. Make your own crop top by tying the front of a loose t-shirt in a knot just below your bra line. If you are brave enough, you can even take a favorite old t-shirt and cut a line just below the bra line for a more permanent crop-top effect. While stretchy polyester yoga pants have become the standard bottoms for modern yogis in the studio and out of the town, it can be refreshing to wear a loose pant with optimum airflow and a romantic look. As long as the bottoms feature an elastic waistband, the pant legs can be as free flowing as you like, so long as they hit just above the ankle. Try wearing a pair featuring a hypnotic, intricate geometric pattern in bold colors. Paired with a fitted top, a gypsy-style wide-length pant can be comfortable and stylish. If you usually go simple with no hair accessories beyond a pony tail holder, try wearing a wide headband with a vibrant pattern. Vice versa, if you have a drawer full of scrunchies and hair goods, try going simple with just a ponytail holder or a single hairclip. 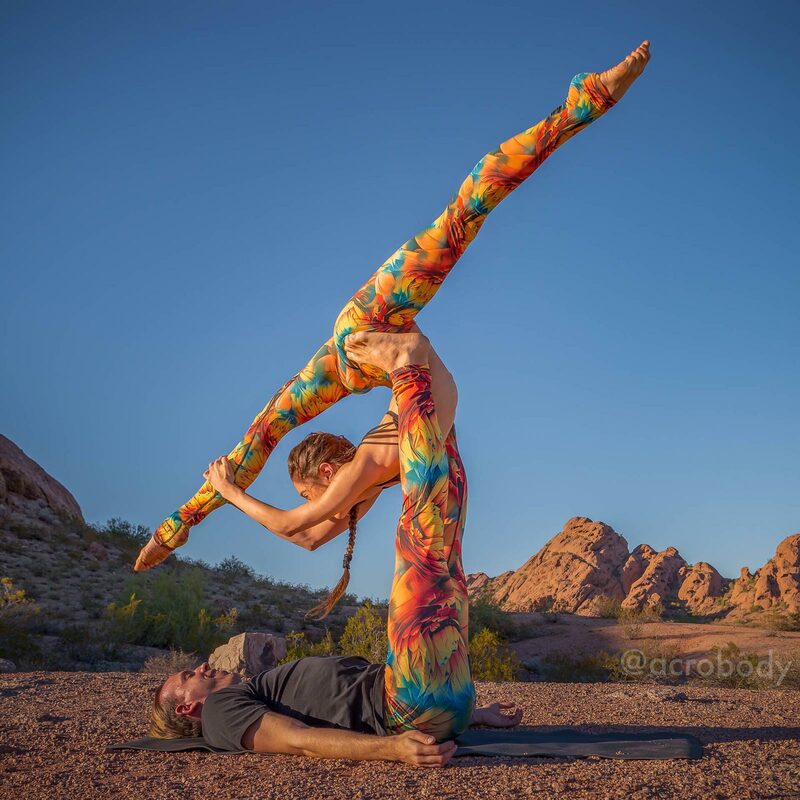 If you normally wear a kaleidoscope of colors to your yoga practice, try wearing a top and pants, like these, with a very similar color tone and no patterns. Experiment with your wardrobe by making minor adjustments, and you will feel the difference! Being weighed down by stress plus an unhealthy lifestyle due to a busy schedule? Slacking on work or studies? Drained upon waking up? This could mean that your body and mind are in need of a detoxification. Detoxification doesn’t always have to be rough. Yoga postures or “asanas” can easily help to strengthen, rejuvenate and detoxify the body. Strike a pose and be cleansed! The following poses will stretch and strengthen the muscles, stimulate the liver, kidneys and pancreas, and will cleanse the mind through breathing and meditation. Wide-Angled Forward Bend. This pose stimulates the lymphatic system with the help of gravity, promoting better flow of blood in the body, releases tension on the hamstrings and boosts metabolism. How: Begin with placing your feet at least four feet apart with the heels slightly turned out. Stand upright, bring your hands behind and interlace your fingers pressing your palms together. Inhale as you fill your lungs and breathe out as you fold forward from the waist, allowing your arms to stretch, lengthening the spine. Stay in this pose for 3-5 breaths and gently stand back up. Eagle Pose. Garudasana opens the shoulders, upper back and hips. It also stretches the calves and ankles. This pose stimulates circulation of blood in the legs, draining the lymph nodes. How: Stand straight. Lift your right foot, bending your knee and allow your right leg to wrap around your left leg, resting the back of your right thigh on your left leg, and lock your right foot on your left hamstring. Cross your arms by the elbows with the right arm on top with the palms pressing against each, pointing upward. Revolved Chair Pose. This posture stimulates the digestive system, liver and spleen while strengthening the core. It also helps mobilize and strengthen the vertebrae and spine. How: Feet together and squat like sitting at 90 degrees. Make sure that your knee alignment won’t pass through your feet. Press your palms together in prayer and inhale, filling the lungs. Exhale as you twist your body, placing the left elbow against the right knee. Stay in this position for 5 breaths and deepen the twist every time you breathe out. Exhale and stand up to release. Do the same technique on the other side. Shoulder Stand. Inverted poses drains the lymph nodes and promotes better blood circulation with the help of gravity. Shoulder stand is a great finishing pose in a session. It draws the blood towards the heart to be cleansed and oxygenated. How: Start by lying on the ground. Breathe in and lift both your legs upward and exhale as you bring them over your head. Place your hands on the upper back for support. 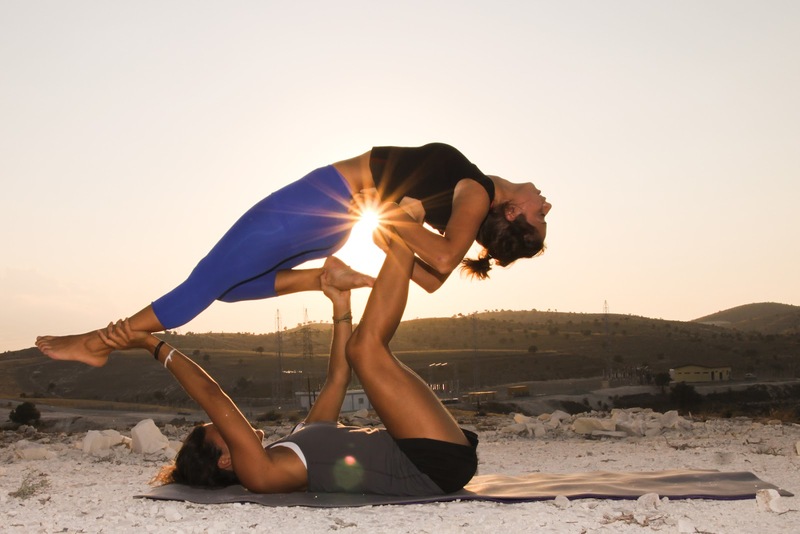 Inhale and extend on leg up and breathe out as you lift the other. Press through the arms and shoulders and tighten your core to straighten the legs and keep it aligned with the lower body. Focus your gaze at your big toes and hold for few breaths. Exhale lower your feet over the head and all the way back to the starting pose to release. Yoga is known as a natural way to promote wellbeing. It is open to anyone who wants to experience transformation in their mind and body. It challenges you physically while slowly opening your mind to new possibilities, instilling composure and cleansing the soul. Always move with awareness and good intentions.